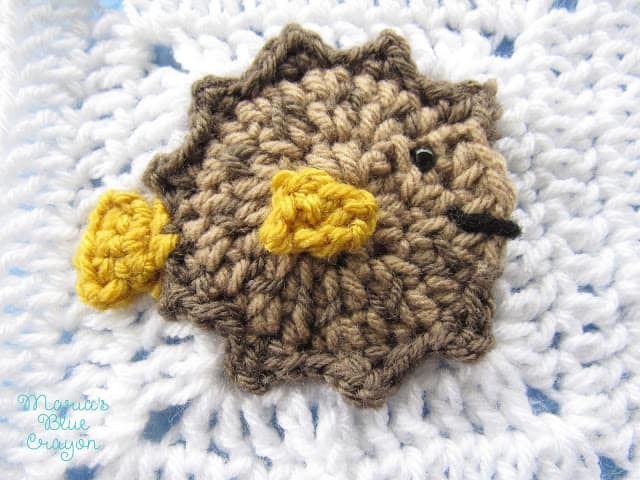 GET THE CROCHET PUFFER FISH APPLIQUE ALONG WITH THE GRANNY SQUARE PATTERN IN AN AD-FREE PDF DOWNLOAD HERE. OR SCROLL DOWN FOR THE FREE PUFFER FISH CROCHET PATTERN. 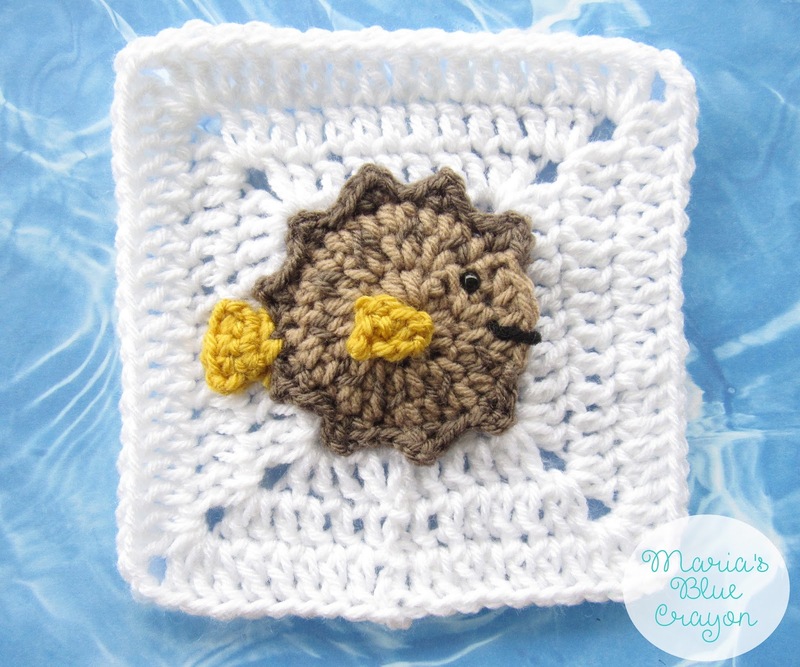 The Puffer Fish is the 11th square of the crochet Ocean Themed Blanket. Find all the information about this granny square blanket here. I’ve officially resorted to emoji’s for my ideas, which isn’t a bad thing! I love how unique this puffer fish is and it adds some neutral to this colorful afghan. I’m getting so close to finishing, I just can’t contain my excitement! Eeee!!! I have laid down my squares and have a good idea of where I am going to place all the ocean critters. I am joining with an invisible seam, but you can join however you prefer. This is my first time doing the invisible join so I’m crossing my fingers everything turns out well! I have used single crochets to join my Woodland Afghan because I think it’s quick and easy! If you would like to join with single crochets, I put together a small tutorial on how to do that here. Note: It’s not always favorable to mix yarns but I used what I had on hand, hence mixing the lion brand and loops&threads yarn. For this project, I think it turned out fine. Spikes on the body are sewn on with a running stitch using a tapestry needle. Using tapestry needle and Taupe colored yarn, sew on spikes on the body (upside down V’s around the circle). Position the circle so the spike gap is facing the right. Between that gap will be the face, do not sew a spike on that side. Attach yarn to slip stitch between the 5th and 6th spikes (count from the top of the head and around). This is made separately then sewed onto the body with a tapestry needle. Attach safety eye (can substitute by sewing on with black yarn) and sew on mouth with a small amount of black yarn.